Chandigarh: Shiromani Akali Dal (Taksali) president and MP Ranjit Singh Brahmpura has appointed Karnail Singh Peer Mohammad as General Secretary and Spokesperson of the party. This was disclosed by party Secretary General Sewa Singh Sekhwan in a statement released from the party the head office last Friday (1 Feb). 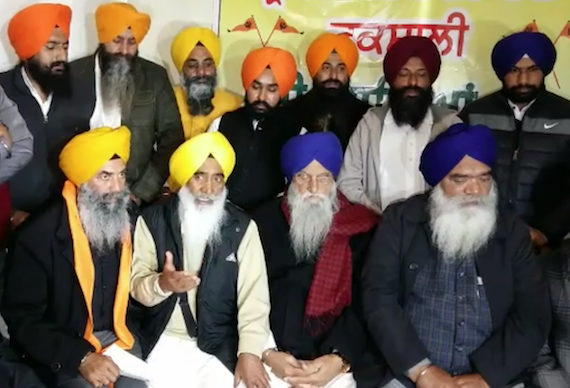 Sewa Singh Sekhwan said that keeping in view the “services rendered by Karnail Singh Peer Mohammad to the party” party chief has decided to appoint him as general secretary and spokesman. Sekhwan said that Peer Mohammad will also represent the party’s viewpoint in various debates and discussions on different television and electronic channels.